Zur's Perfection you ask? Well with this being my first of the many EDH decks that followed, I wanted to make it something special to commemorate it so I decided that I'd start foiling it out (where possible) and try to make it the best that it could be. So that being said my goal with the deck is to strive to continually make it better and better (chasing perfection) in a competitive 1v1 environment (top-tier casual or US ban list). In order to do that i need you (yes you! ), the magic community, to give me some feedback being either positive or negative as both help in their own way. Fire away any questions you might have and I enjoy reviewing other decks in my free time so if you need a hand give me a shout! Don't forget those +1's ;) and thanks for the support! 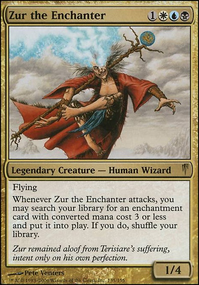 Note: I realize many cards on my list (including Zur himself) are banned in French Format (Duel Commander) games. I abhor that format deeming it "unfun" due to it's heavy restrictions on quite a few of my favorite cards and therefore don't intend to enter any tournaments of this type. Thanks for the concern. -303.4a An Aura spell requires a target, which is defined by its enchant ability. -303.4f If an Aura is entering the battlefield under a player’s control by any means other than by resolving as an Aura spell, and the effect putting it onto the battlefield doesn’t specify the object or player the Aura will enchant, that player chooses what it will enchant as the Aura enters the battlefield. 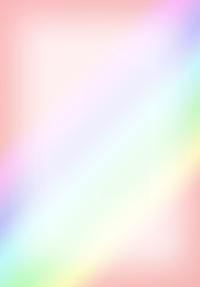 The player must choose a legal object or player according to the Aura’s enchant ability and any other applicable effects. Meaning Aura's only "target" when they are being cast. -Try to get Zur out as soon as possible using artifact ramp, preferably with shroud, haste, and/or a free counterspell in hand to back him up. -If I need to get my Stasis engine running faster I tutor for it with a spell, play it and attack with Zur grabbing Triclopean Sight , which immediately negates the whole being tapped problem. - Tezzeret the Seeker to untap and/or search for blue mana rocks (or Seat of the Synod ) to keep Stasis going indefinitely! -Land destruction such as Armageddon can be used whenever Zur is in play and I have board position. I'll want Vanishing to phase zur out before Cataclysm hits if there is more than one useful enchantment on my field though. -Wait until you have a tutor that can search for Helm of Obedience and grab it either right away with a black tutor, wait till the opponents end step and search with Enlightened Tutor , or play Tezzeret the Seeker and use his minus ability to ensure they don't know what's coming until it's too late. Play it unless Tezz did it for you (once again counterspells as backup are nice). -Use Helm of Obedience and pay 1 mana to exile target players library (repeat for each opponent). If Tezzeret is still alive and on the field somehow (although highly unlikely) use his +1 ability to untap the helm for a double KO! - Ad Nauseam : Let's me dig deep for counterspells/removal/tutors/mana rocks, etc. Has really good synergy with Empyrial Armor - Swing with Zur fetching the armor and using Ad Nauseam to draw enough cards equal to lethal commander damage (hopefully with lifelink). Also has really good synergy with Scroll Rack allowing me to put a bunch of lands and enchantments back into the library to be fetched, all the while drawing valuable counterspells and mana rocks. - Timetwister lets me get back all my enchantments (and everything else of course) into my library for Zur to find all over again, and also refills my hand to boot! I'd like to give thanks to everyone who has upvoted or given me suggestions for the deck. Additionally I'd like to thank the following users. If you have spare time check out their decks too! If I've forgotten anyone specific or if this deck has inspired you and you'd like your Zur deck featured here just give me a shout. Vanishing is a commissioned hand painted alternate artwork.